This heavily ornamented yet vibrantly coloured crab was recently described by Professor Peter Ng, the head of the Lee Kong Chian Natural History Museum, together with Professor Phillipe Bouchet from the Muséum national d’Histoire naturelle. Actaea grimaldii, as it is now named, is named in honour of the Prince of Monaco, His Serene Highness Albert II, and the red and white colour pattern of the new species also alludes to the colours associated with the armorial of the Grimaldi family. Colourful as it is, the bright colours that adorn the crab help ‘advertise’ for the crab, not for a partner, but instead, something much more sinister. Belonging to the family Xanthidae, they possess a toxin similar to tetrodotoxin found in pufferfish, the core and only ingredient for the Japanese delicacy ‘Fugu’. These toxins are not only highly toxic, they are also heat-resistant and cannot be destroyed by cooking! Two specimens courtesy of Muséum national d’Histoire naturelle are now deposited in the museum and are part of the Zoological Reference Collection for research and education. A very special snail mail arrived recently! Our mollusc curator, Tan Siong Kiat, alerted us of a pair of scaly footed iron armoured snails (Crysomallon squamiferum) sent to us from the RRS James Cook Expedition of the Indian Ocean collected by JT Copley. They were found some 2,700 m deep! These snail have a shell coated with iron sulfide and also have iron sulfide coated petals protecting their soft foot. Only a peek beneath the foot reveals their organic nature. Scientist studying them found that they probably do not need to eat. Instead, they probably rely on symbiotic bacteria found in their guts for food production. Amazing! The snails have been catalogued and are now part of the Zoological Reference Collection for research and education. 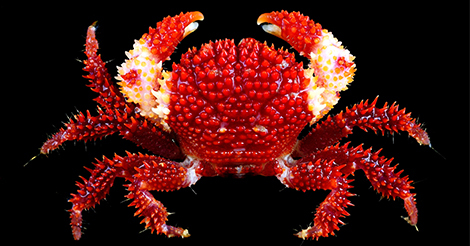 Indopinnixa shellorum, A new species of crab described from Singapore! A new crab species described from Singapore by our resident crab taxonomist, Professor Peter Ng (Head, Lee Kong Chian Natural History Museum)! Described as Indopinnixa shellorum, they live in close association with sipunculan worms. This crab is also tiny, measuring only 4 mm across! It is no wonder why they have evaded detection for years, even with frequent and intensive biological surveys. This species is named after the employees of Shell Singapore Private Limited for their strong support for many of our local science and biodiversity programs such as the Raffles Museum Visiting Scientist Program. They also contributed greatly towards the Comprehensive Marine Biodiversity Survey Project, organised by National Parks Board (Singapore) to document the marine plants and animals on the island. 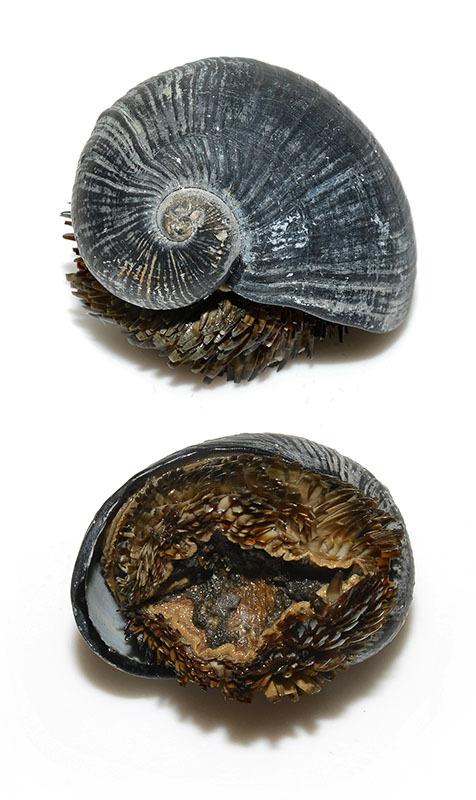 Indopinnixa shellorum was one of the new species collected during the Comprehensive Marine Biodiversity Survey Project. The CEO of Shell Mr Ben van Beurden presented a model of this crab to PM Lee Hsien Loong (Prime Minister of Singapore) as a memento to PM Lee while receiving the Honorary Partner in Progress Award from EDB Singapore. 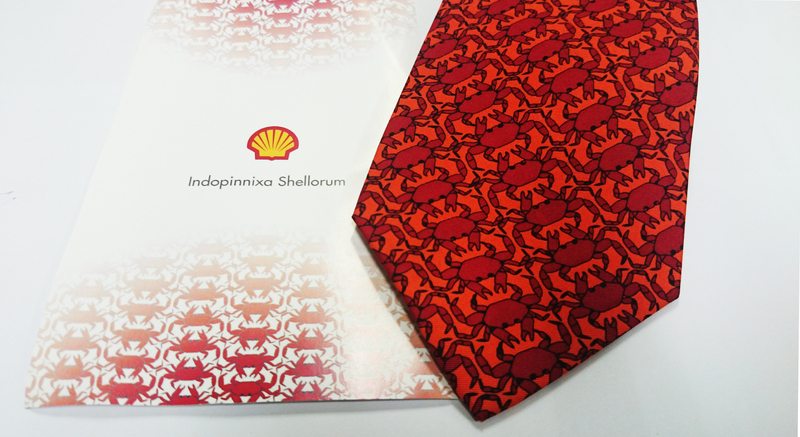 Shell also commemorated the occasion with Indopinnixa shellorum ties!